The warnings were there, dwindling shelves with no sign of replenishment. That’s never a good sign. We had our suspicions and then this week the official sign went up to confirm it. 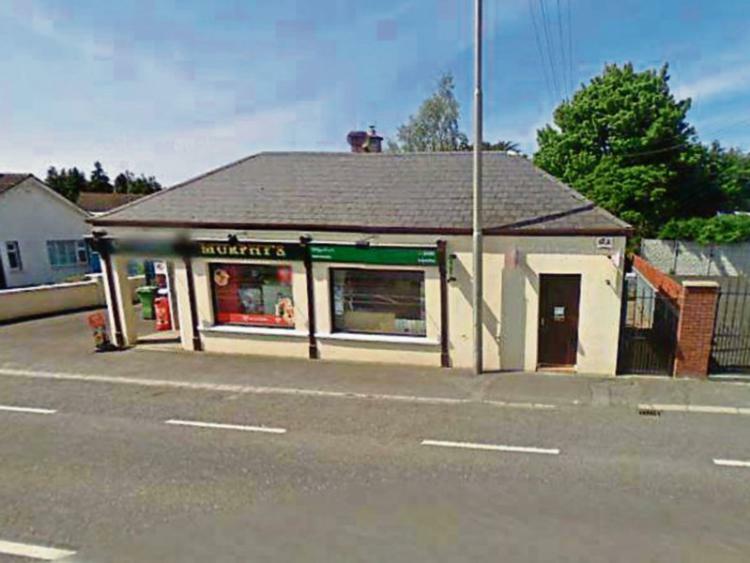 As of this Bank Holiday weekend Ballybrittas Post Office and its associated small grocery and newsagent Murphy’s will be no more. I will miss the Post Office of course, I was a regular visitor to do small bits of business. A book of stamps, the odd postal order, putting a few euros into the kids’ savings books, sending the occasional registered letter. You could pull up right outside the front door, rarely encounter any sort of queue, exchange meteorological insight with all and get your business done in a lovely hassle-free manner. I will miss Murphy’s too. It was the go-to destination for the now customary Friday afternoon post school treats for the kids. You would find yourself fairly regularly stopping to pick up your proverbial milk, bread and half pound of ham as well as sundry bits like, you know, firelighters and brillo pads. I will miss them both. But I have a vehicle and there is a bigger town only a few miles away, I will adapt and move on. But I’m not Mick. Mick lives on the western edge of the village, about three hundred yards from the shop and Post Office. I would say he is in his early seventies. He doesn’t drive and lives by himself in an ancient cottage on what used to be the main Dublin to Limerick road. In the ten years since I moved to the area I have gotten to know Mick fairly well. The common ground has naturally been the Post Office and grocers. Our conversations have mostly centred on the degree of ominousness in those clouds heading our way from Fisherstown direction or the farmers’ prospects of getting another cut of silage this summer. Over those years I have come to realise the critical, irreplaceable role that the Post Office and shop play in Mick’s life. He is there a few times every day, chatting, tending to his financial affairs, picking up all that he requires to sustain himself and his modest household. A three-hundred-yard stroll there and back. And now it’s gone. His sister with whom he shared the cottage passed away a few years ago. One limb removed. And now this. The plight of a proverbial Mick is beyond the ken of your expensively assembled activation team up there in the cappuccino corridors round O’Connell Street. There are commercial realities we are told. I would have thought that there are also certain commercial realities which might preclude the State from every morning running your proverbial 8.15 from Ballyhaunis to Swinford on which there are two passengers, both on free travel. An indispensable service for Alice and Eileen and one that the private sector wouldn’t touch in a fit. Is Mick not your Alice or Eileen in this situation? As you were Bus Eireann and Irish Rail, but we’re drawing the line at An Post? You know that auld cliché you perennially hear about the invaluable focal point and hub that the rural Post Office provides for marooned communities? Yeah, well it’s true because I’ve seen it playing out first hand in the village around the corner from me. I’m OK, I’ll manage. It will be more difficult for Mick. All those erstwhile lovely, easy interactions and transactions will now be attempted at the other end of a bus trip or a cadged sporadic lift into the town. There are plenty of Micks still out there, who is advocating for them, who gives a curse? If a Post Office falls in the forest does anybody hear? Seemingly not.